In an ideal world, a lake with frequent algae blooms could be “fixed” by reducing the load of nutrients to it from the landscape. It seems simple. 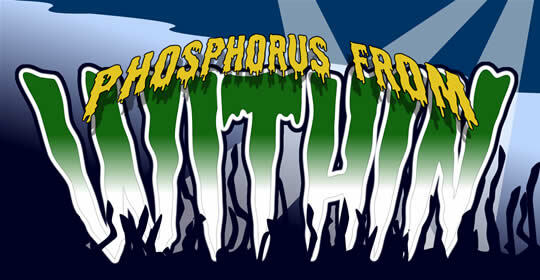 If too much phosphorus enters the lake, the algae grows to nuisance levels. To reduce the algae, you reduce the nutrient inputs, right? That’s the first step, but it may not be the last. The problem is excess phosphorus that has probably been flowing into the lake for years. In most cases, more phosphorus enters a lake than leaves it, and the excess is deposited on the lake bottom. Eventually, some of that excess phosphorus will return to the water column to fuel algae growth. Phosphorus entering a lake from the watershed is called external loading. By contrast, phosphorus originate from within the lake is called internal loading. Internal loading occurs as phosphorus moves from the bottom sediments in either particulate or dissolved form.